Did you know that New York state’s new Reproductive Health Act legalizes abortion seconds before birth? Well no, of course you didn’t, because it’s not true. On a purely conceptual level, the precision timing involved with such a procedure doesn’t even sound possible, unless your doctor is the Flash. If we’ve reached the point in American discourse when it’s considered Satanism just to know what abortion laws actually say and to understand why, then okay, I’ll take that action. After all, somebody’s got to do it. Moloch is actually a killer babysitter. This is interchangeable with the federal legal standard of Roe v Wade. And in a perfect world, a rule this sensible wouldn’t even need to spelled out. But as we know from the fact that R. Kelly hasn’t yet died in a freak acid truck crash, this is not a perfect world. So New Yorkers wrote themselves some extra insurance. Naturally, the wing of the American political sphere that gets its best insights from high-grade paint thinners reacted in the most reasonable way they know how: by ritually smearing themselves in credulity and leaping headfirst into the open plague grave of fake news. A viral meme passed around Facebook like a prison shiv alleges that it’s now “perfectly legal to murder” a full-term baby during labor in New York state. Over on Voat, #Qanon lunatics lament New York “murdering Americans in the womb,” a practice they of course blame on Satanists. 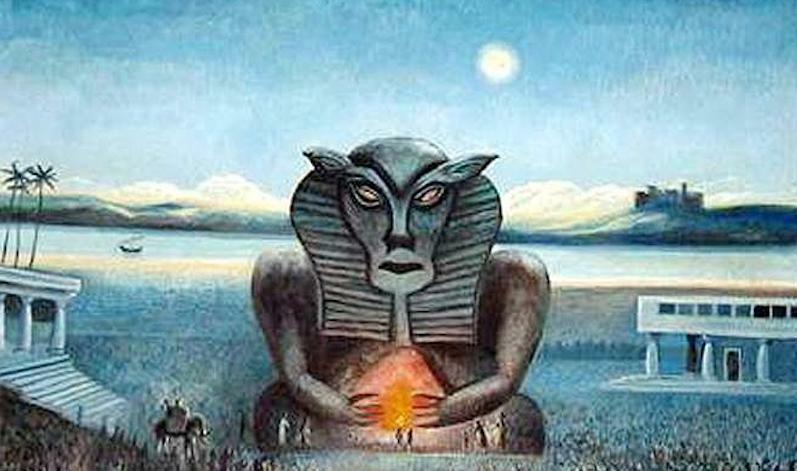 “New York is now Satan’s den,” one conspiracy rube moaned. Which is impossible, since Satan’s Den is touring Australia with Slayer right now and won’t be back on the East Coast until June. In reality Satan is probably pinching his brow so hard that you could cut glass on it. I know I am. 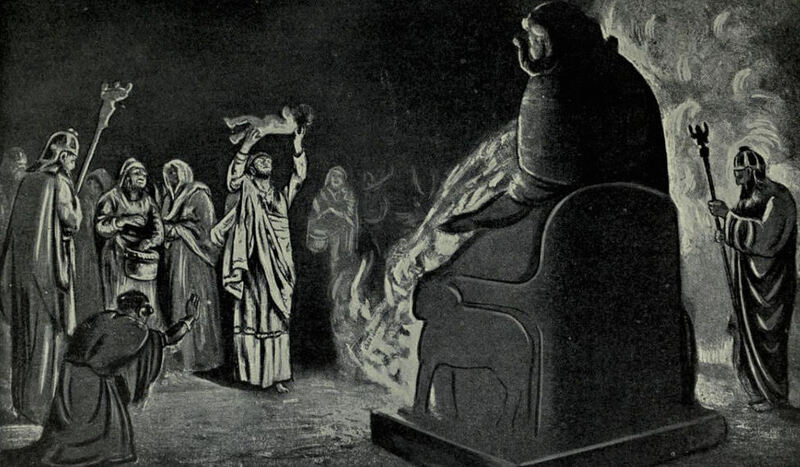 And it gets worse: The fundy site Christian Post compared the Reproductive Health Act to ritual human sacrifice to the demon god Moloch. Moloch rocked an awesome set at Hardly Strictly Bluegrass. In the same way that some cultures cut the hands off of thieves, writing sentences like these should result in having your word processor smashed with a hammer. And by “word processor” I of course mean temporal lobe. As already stated, in reality the Reproductive Health Act actually changes almost nothing. All the law does is extend every medical right possible under Roe v Wade to New York state residents. The forced motherhood crowd always claimed that abortion is “killing babies,” but now they also claim that New York state is only just starting to “kill babies” with this law now. So which is it? It can’t have been going on forever and also be starting. It’s abortion, not a “Law & Order” marathon. Presumably, the fact that they have to invent a new lie means they know the old one is no longer working. The fact that the new lie is just the old lie but again (and louder) means they’re bright enough to recognize the problem but not to solve it. Much like this dog recognizes that it needs to get its head out of the jar but remains stuck even so. Now there is one point in this flaming Hindenburg of bad faith arguments that I will acknowledge. Some forced motherhood wanks point out that Modern Satanists DO seem particularly invested in abortion access. For example, Satanic Bay Area is just weeks away from the first printing of our latest Satanic “Chick” Tract, “Abort! Abort!” No fair guessing what that’s about. To the clogged sieve of a fundy mind, this investment appears suspicious. But the reality is far less sinister. Other religions aren’t exactly bending backward or forwards to protect your right to your own body. So if we don’t pay it mind, just who will? 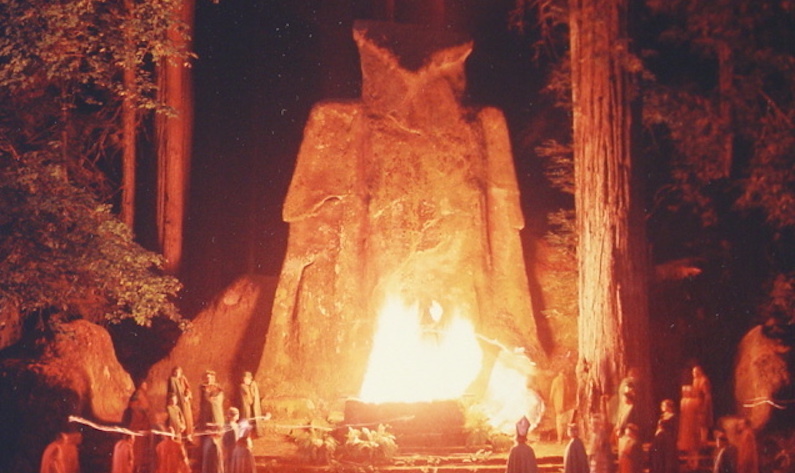 Bohemian Grove Rhapsody: Not the real life, just fantasy.